Teaching English in Japan is an incredible way to delve deeper in to the country, while making good money and having memorable experiences. There’s a wide variety of ways that you can teach English in Japan, with the easiest being through the various organizations and programs that recruit people for English teaching jobs. Trying to figure out which language company to work for, and what the teaching jobs in Japan actually entail, can be a little tricky. You don’t want to find yourself landing a job only to realize that the position isn’t what you thought it would be, or that you’re not happy with where you’re living. It’s important to do your research before agreeing to an English teaching job in Japan. 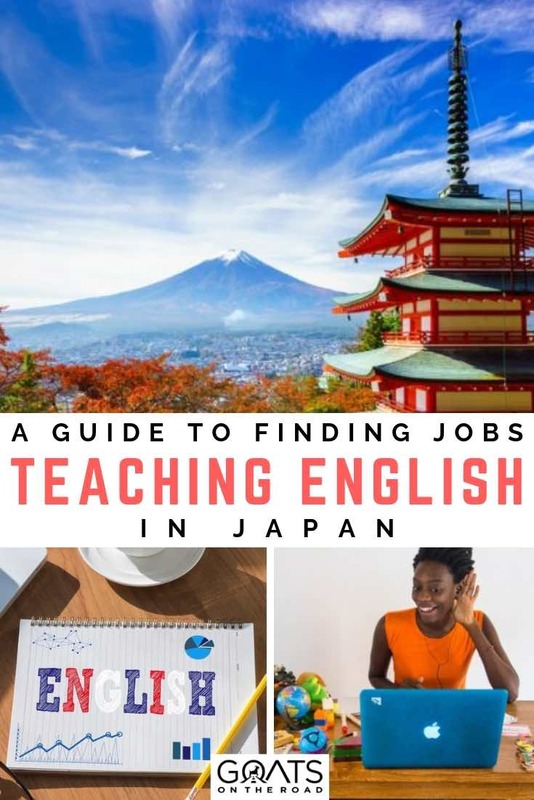 In this guide, I’ll list the necessary qualifications to teach English in Japan, how you can find teaching jobs, and how much money you can expect to make. What Do You Need To Teach English in Japan? There are a lot of English teaching jobs in Japan, with an estimated 65,000 people teaching English in the nation. English language lessons in Japan are big business, and getting a role as an English teacher is a fairly straightforward way to be able to live in the country. Not everyone can teach English in Japan, you’ll need a few skills and qualifications. You need a good grasp of the English language itself — this is pretty obvious. It would be more than a little difficult to teach English if you weren’t fluent in the language yourself. 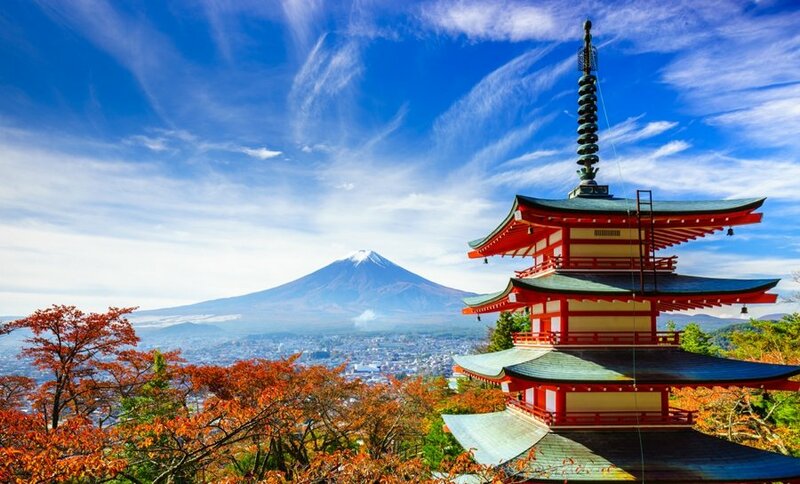 Japanese language schools are the place to go for jobs in Japan for English speakers, as they predominantly hire from English-speaking countries. The main seven countries Japanese English schools employ teachers from are: the U.K, Ireland, Canada, the U.S, Australia, New Zealand, and South Africa. 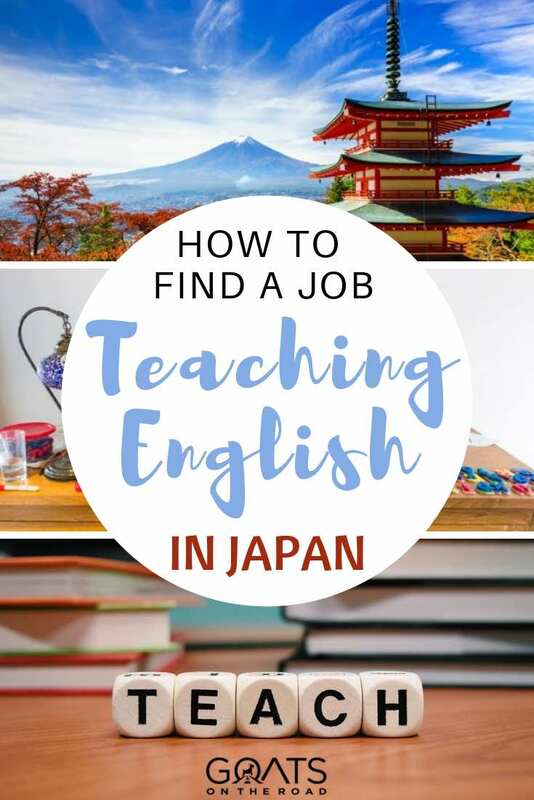 But, if you can show that you have received education for over 12 years at an English-speaking school, or have already worked teaching English for over three years, you still might be able to teach English in Japan. As a non-native speaker of English, it will be tricky for you to find work in a Japanese school, but you might be able to find work teaching in private English schools. Private lessons are a great way to teach English in Japan and make a good amount of money, while still having time to see the country. It doesn’t matter what your degree is in, but you’ll need to have a Bachelor Degree (at least) to teach English in Japan at a school. You don’t need to have any experience in education, and your degree can be in anything — fashion, tech, psychology, etc. — but you do need one. There are a few ways to teach English in Japan without a degree. This would usually involve teaching English online or at a private school. It’s important to know that some schools and programs, such as JET (Japan Exchange and Teaching program), will require you to have a background check. Background checks are routine in many countries for jobs that require you to work with children under 18 years of age. To work in any role in England that involves children, you must get a DBS check, while in the US and Canada, you would have a police check done. These types of background checks are the same in Japan — having past criminal convictions on your record will mean that you’ll find it very hard to teach English in Japan. But you shouldn’t worry too much if you’ve had a minor traffic conviction, or did something stupid as a teenager — you should still be able to find a position. Out of all of the jobs for English speakers in Japan, teaching is probably the most strict when it comes to drug usage. There is little to no tolerance at all for drugs, even those that are legal in other countries. Some jobs in Japan require their teachers to take a drug test during their contract renewal. This kind of drug test will depend on which school you’re working for, but it’s best to steer clear of any narcotics before you make the move to Japan. To be eligible to teach English in Japan, you can be any age, but you’re more likely to get yourself a job if you’re in your 20’s and 30’s. Most companies advertising jobs teaching English in Japan will prefer to hire people who are younger than the retirement age of 60, and usually older than 21. A TEFL (Teaching English as a Foreign Language) certificate puts you in good position when it comes to looking for jobs. A TEFL course will set you back around $150 – $300 though, and you’ll need to complete it before applying for jobs. However, it’s worth it to have a TEFL, as you’ll be a more attractive candidate for the job and would most likely be hired above someone who doesn’t have one. TEFL isn’t actually a requirement to teach English, but if you don’t have a degree and want to work for a private school, it’s likely that you’ll need it. And if you have a TEFL certificate as well as a degree, you’ll be eligible for higher paid roles teaching English in Japan. Interested in learning more about obtaining a TEFL Certificate? Click here for information. If you’ve taken your TEFL certificate through Mytefl.com, they will help place you in a job position in Japan. 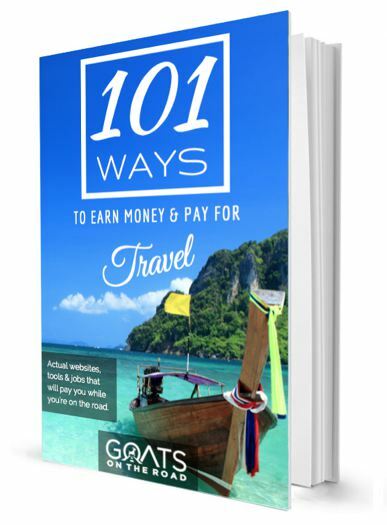 Salaries range between $1,600 – $2,500 each month, with numerous bonuses and perks — including accommodation assistance. The job isn’t guaranteed, however, and you’ll need to pass the interview and demo class, but if you want to teach English in Japan, an easy way to get your foot in the door is through your TEFL company. If you’re professional, passionate about teaching, and put forth an effort in your interview, there’s no reason why you shouldn’t qualify. 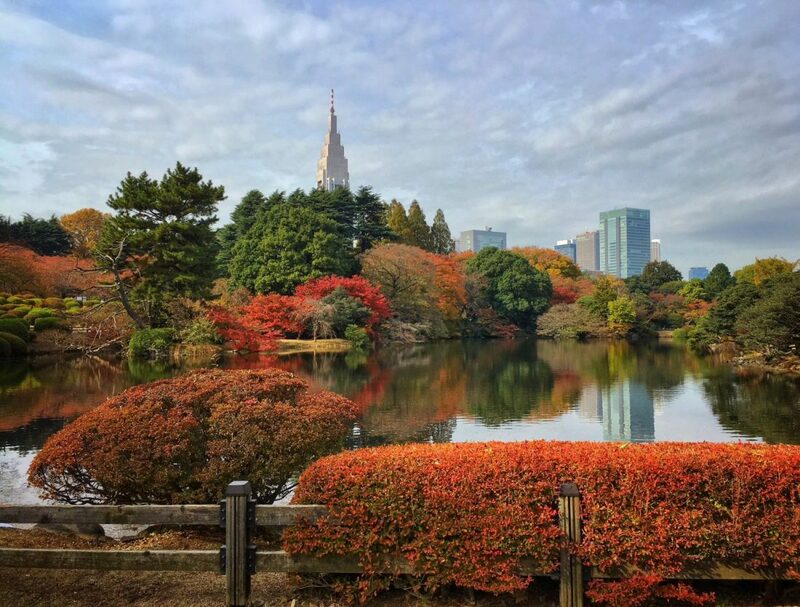 Click here to learn more about Mytefl to receive your TEFL certificate and eventually find an English teaching job in Japan. This the option that a lot of people who teach English in Japan take. An Assistant Language Teacher (ALT) is a well-respected and well-paid role, but there’s also high competition. As an ALT, you will be working in a Japanese public school and become part of the community of the school. To secure a job in a Japanese school, you’ll need to sign up to a program such as JET, which will process your application and find you a place in a school. JET (Japan Exchange and Teaching Program) is a well-known government initiative and one of the best ways you can get a job teaching English in Japan. The best part about working as an ALT is that you get to interact with the school children every day, and become a part of the school community. Job contracts usually run on a yearly basis, and you’ll more than likely be placed in an elementary or junior school, but sometimes there’s the chance to work in a high school. The downside is that you usually won’t have a say in where you live in Japan. English teachers are easy to find in Tokyo, but it’s the smaller cities and rural towns which are most in need of teachers. JET places English teachers in Japanese towns that need help the most, so you might end up living in the middle of nowhere. That may not necessarily be a bad thing, you could wind up on a tropical island in Okinawa! Teaching English in a Japanese nursery can be a fun way to work in Japan. 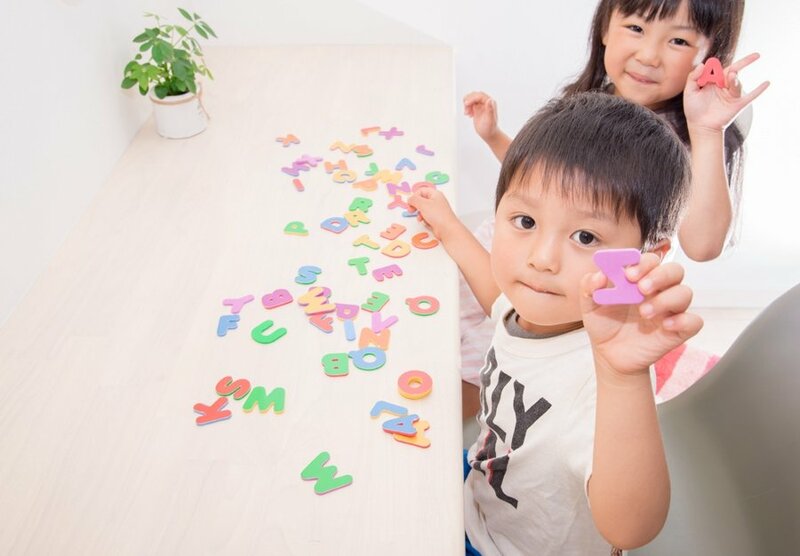 It’s best to start learning a language at an early age, and in recent years, there has been more of a demand for English teachers in Japan’s preschools. This type of English teaching job isn’t for everyone. It’s best suited to people who love being around small children and have a lot of energy. Don’t worry though; you won’t have to run the whole class by yourself. As an English teacher in Japan, you’ll be paired up with a Japanese native speaker who’ll be the primary teacher. Getting a job teaching English in a Japanese nursery is a great way to get involved in the community. The children and parents will get to know you, and you’ll be able to pick up the Japanese language reasonably quickly too. If you already have experience working with small children in your home country, you’re going to be in an excellent position to get a job in a Japanese preschool. The days can be tiring, and you’ll have to plan lessons, but apart from that, you’ll spend your days at work having fun with adorable children. Check out job posts on Gaijinpot and Ohayo Sensei to find the right roles for you. There are a lot of people in Japan who are looking to learn English at the moment. With Tokyo hosting the Olympics in 2020 and the Rugby World Cup in 2019, the government is putting on pressure for people to learn English. Even taxi drivers are being asked to put in the hours to learn the basics of the language. A good entry into teaching English in Japan is to get a job with an English conversational school (also known as a eikaiwa). These schools are all over the country, especially in big cities. While there are numerous options, ECC, Gaba and Aeon are highly rated. As with any job in Japan, I suggest you do some research about the school before accepting a position. The best thing about working for an English Conversational school in Japan is that you’ll be teaching people who want to learn. Your students will mostly be adults who have set aside the time to learn, and will be paying for it out of their own pockets. You might find yourself taking one-to-one conversational lessons or teaching a whole class of people. You’ll mostly be working around six hours a day, and you’ll have holidays and time to yourself. 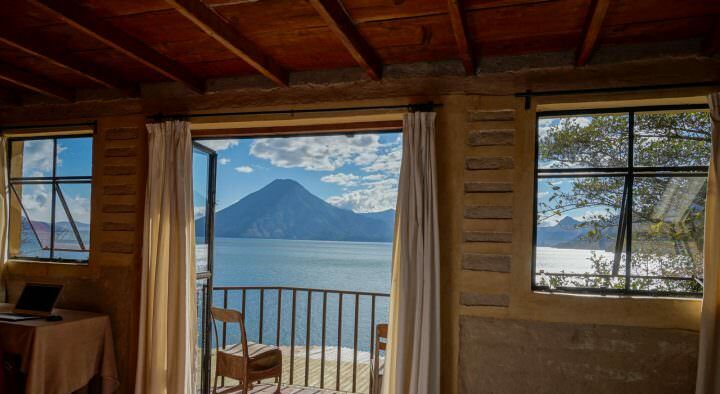 You’ll also be able to choose the city that you want to base yourself in, which is a bonus. Due to Japan’s globalized economy, people who are in business need to speak English in order to get deals done. Not only do business professionals need to speak English, but they must also be able to speak a high level of English. There are different companies that specialize in teaching businesses English in Japan — and getting a job with one means you get paid a little more. Teaching English in Japan at one of these schools will usually require you to travel to different offices and locations around the country. The hours can be more flexible, and you’ll normally get paid hourly. In this kind of position, your students will have a higher proficiency in English and you’ll get paid to have conversations with adults — which is much less exhausting than teaching younger children. 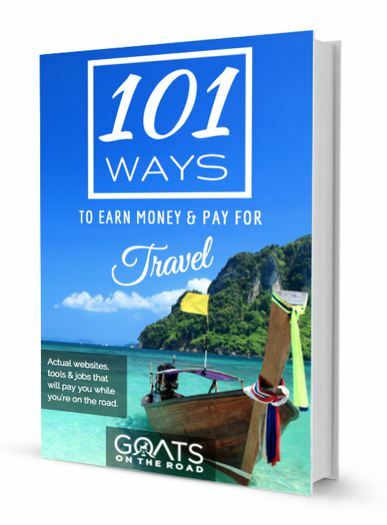 Another way many people make money and travel is by teaching English online. Away from the usual classroom set-up, teaching English online in Japan gives you the flexibility you might crave if you’re a traveller. Lessons are conducted online through a portal or Skype set up. You’ll usually have to plan lessons and activities for your students and be able to monitor their progress. Being able to teach online means you can live wherever you want in Japan while getting paid. There are a lot of companies out there who specialize in teaching English online, and it’s a growing industry in Japan. Many people live in small towns and don’t have access to a fluent English speaker to learn the language, so using the internet is a super helpful way to learn English. Click here for some reputable online companies to teach Japanese students. Looking to teach English online to Chinese students instead? 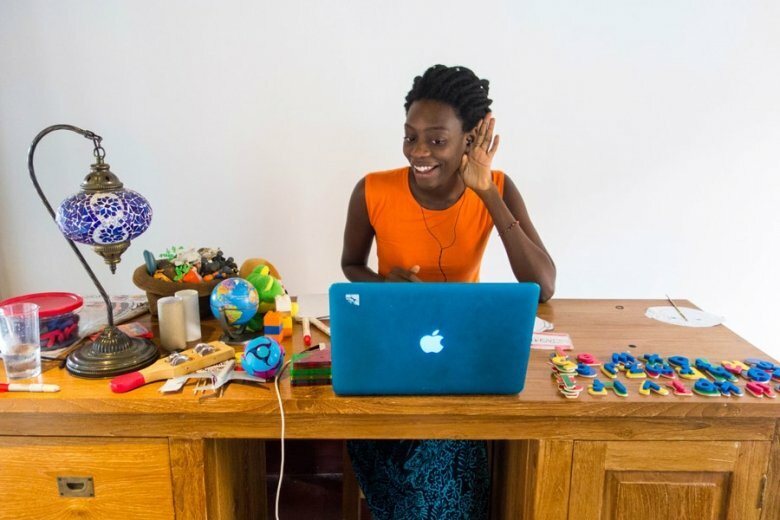 If you’re from the USA or Canada, become a VIPKID teacher and earn $22/ hour. Another option is Qkids, although the pay isn’t as high. If you’re from the UK, EF Education First is a good bet! How Much Money Can You Earn Teaching English in Japan? As with any job, it’s important to know how much you can earn so that you can set your budget and understand what kind of life you’ll be able to afford. Not only that, but you don’t want to spend your time looking for English teaching jobs in Japan only to discover that the pay isn’t going to be enough to cover your rent. So I’ve helped you out with that. Here’s a list of how much you can expect to earn on average when you teach English in Japan. The amount you can make teaching English in Japan will vary depending on your role. In most jobs, your pay will increase with your level of experience. The longer you work at an English teaching job in Japan, the more money you’ll make. Unlike when you teach English in China, in Japan, the schools typically expect that you’ll pay for your own housing. However, you will earn more money working in Japan than in China, so it balances itself out. Depending on where your job is based, the rent will be higher. Tokyo has the highest rents in the country, but you’ll be able to save money on other things like food, as there are more options. There’s also the high cost of getting an apartment in Japan; you’ll need money for a deposit (and the notorious “key money“), as well as everyday things like bedding and toiletries. You’ll also have to budget in the cost of healthcare, which is compulsory in Japan. Ready to Teach English in Japan?! There are a lot of things to think about when it comes to making the move to a new country. English teaching jobs in Japan can be a fantastic way to fund your life abroad, while learning about a new country. Working as an English teacher in Japan means hard work, but that hard work is well paid and it’s a rewarding job. You’ll be able to make friends with your fellow teachers, and have fun while teaching your students. 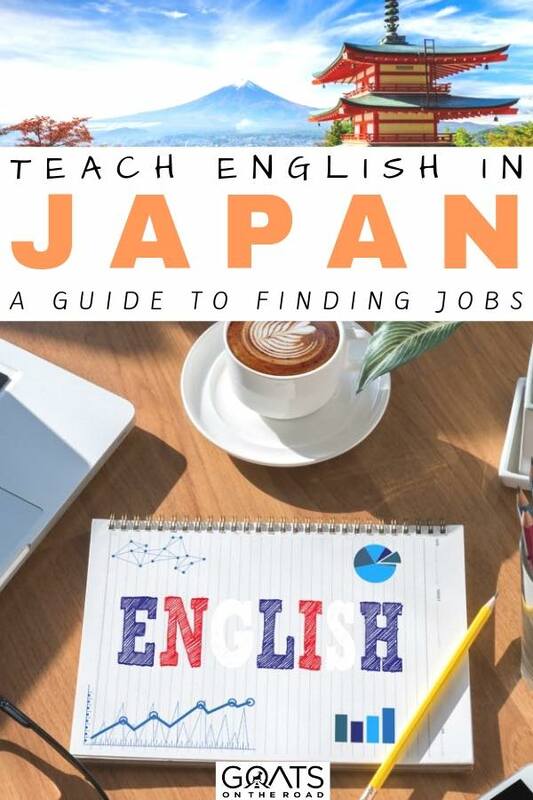 A good tip is to try to secure yourself an English teaching job before you head to Japan. This will make the process of moving to another country much, much smoother. You won’t have to worry about visas, and being able to plan ahead will mean you can arrange a place to live. Land yourself the opportunity to teach English in Japan and start a new chapter of your life in the Land of the Rising Sun! Hi there! There isn’t a link to click where you say click here to find online teaching jobs for japanese people. just thought I’d let you know! Thanks so much for the heads up! I’ve changed it now. Cheers! My friend did this for a year after college. She loved it. 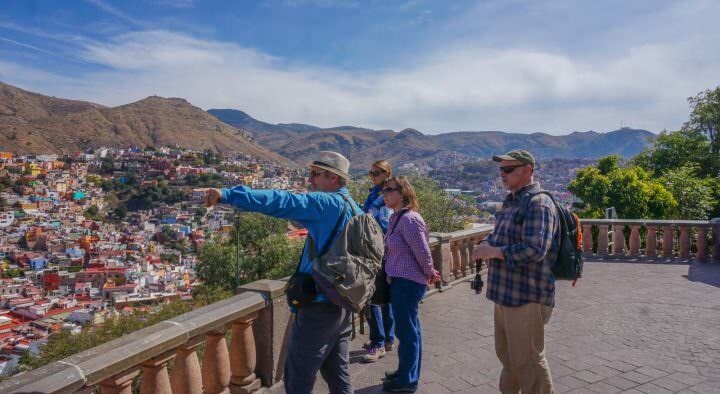 What an amazing cultural experience to have while you also gain some experience teaching.